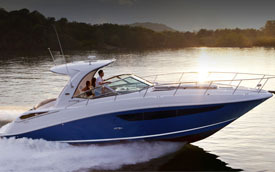 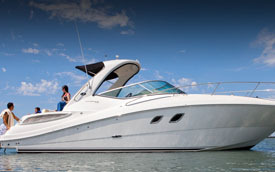 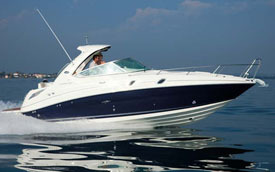 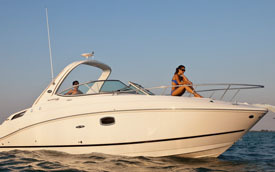 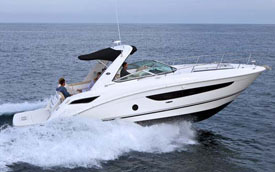 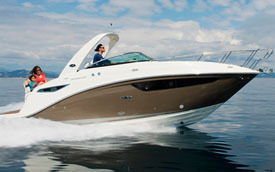 Set the standard for comfort and luxury with a 2014 Sea Ray Sport Cruiser. 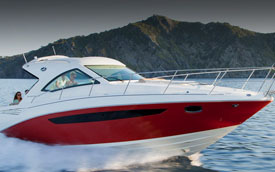 From 26 to 37 feet, these gorgeous boats offer hulls in an array of vibrant gel-coat colors. 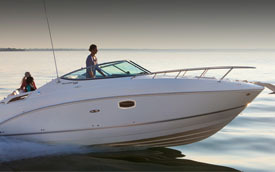 Matching canvas options are also available, along with redesigned fabrics and interior packages. 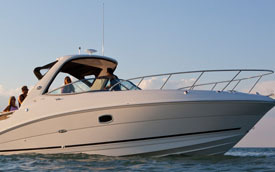 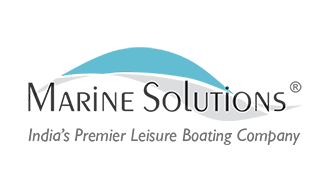 Sport Cruisers come standard with the SmartCraft instrument management system, plus other exclusive features and innovations that are often imitated, but never duplicated, by the competition.